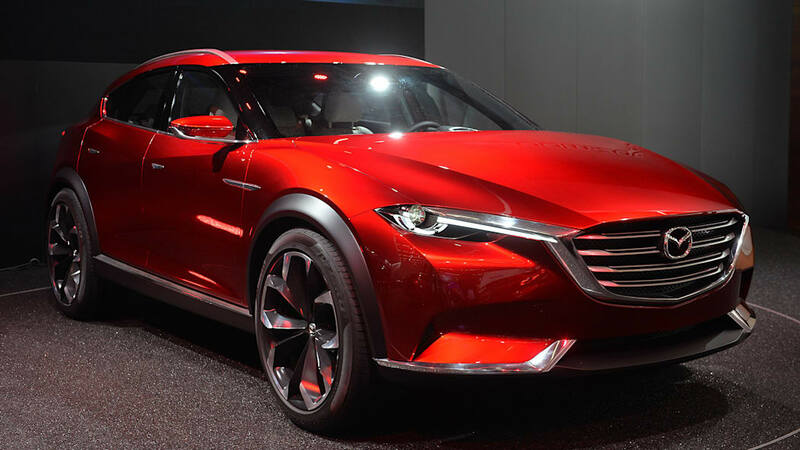 Mazda rolled in to the Frankfurt Motor Show this year with the Koeru concept you see here. The showpiece is the latest embodiment of the Japanese brand's Kodo design language, applied with dramatic effect to a large crossover shape. 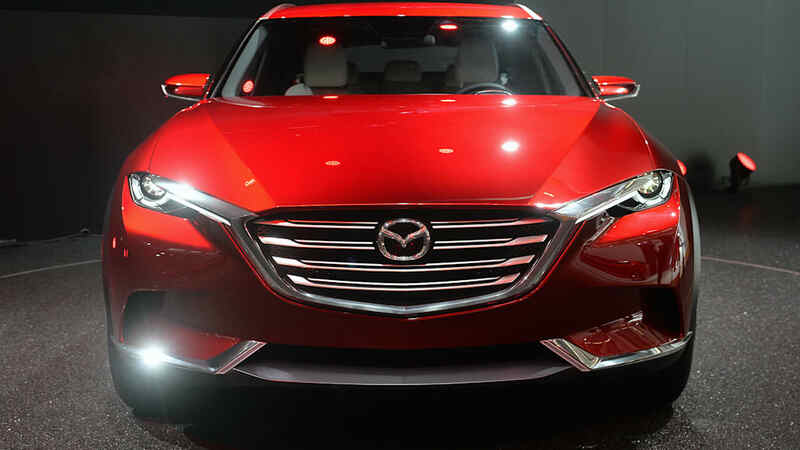 Could this preview the next CX-9? The Koeru takes its name from the Japanese verb for "going beyond," and the reason is plain to see: though created by a mass-market brand, the concept could easily belong to an upscale marque like Infiniti (which offers a range of crossovers), Jaguar (which just revealed its first), or Maserati (which is preparing to get in on the action as well). It strikes us as aggressive as it is elegant, with taut lines and sporty details from the sharp lights to the muscular wheel arches. Few technical details as to what lies underneath it all were made available. And these show cars often lack working underpinnings to speak of anyway. 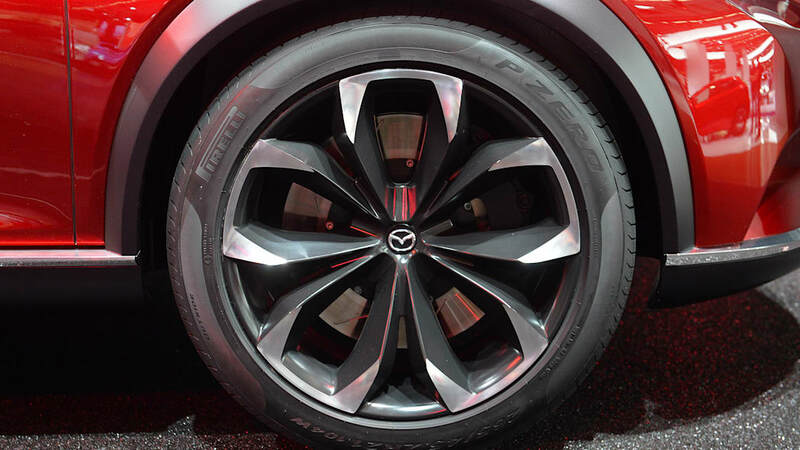 But Mazda says that, beyond the styling, it optimized the aerodynamics over the upper body as well as underneath it to reduce turbulence and "enhance vehicle stability when driving at speed." 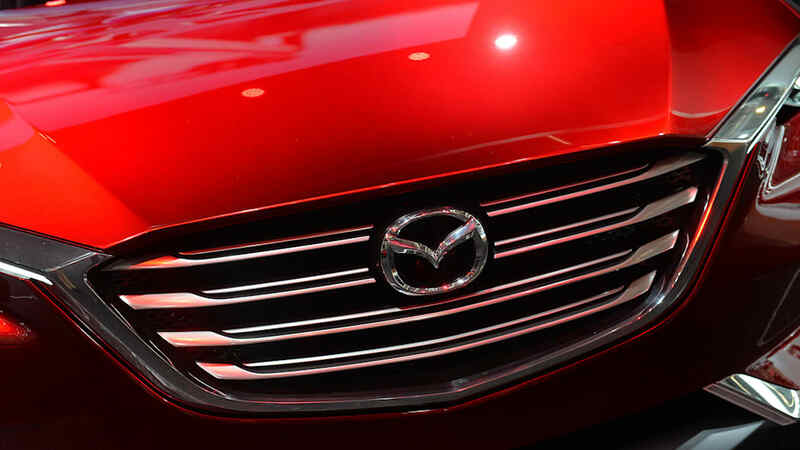 It's also said to encompass the company's latest Skyactiv, i-Activesense, and Mazda Connect technologies. Which is all well and fine, but we're looking forward to seeing what innovations the company might incorporate if and when the Koeru (hopefully) transitions from concept to reality. In the meantime you can scope it out in the live and stock image galleries above and below. 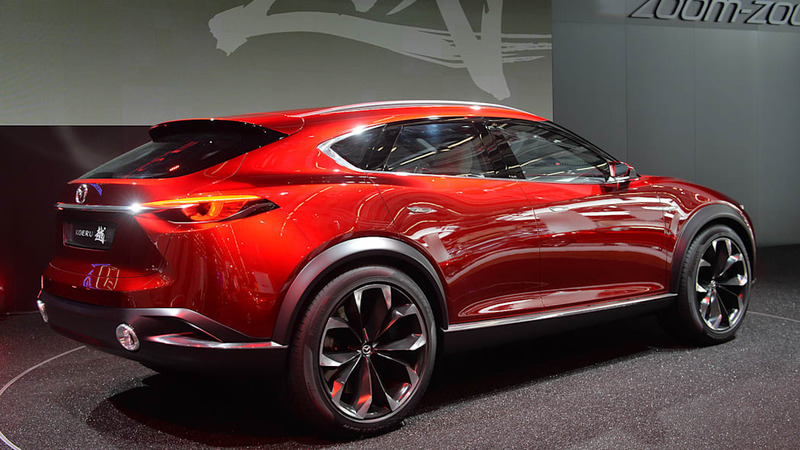 The Mazda KOERU demonstrates Mazda's unique and daring interpretation of a crossover vehicle, proposed for the fast-growing crossover market. 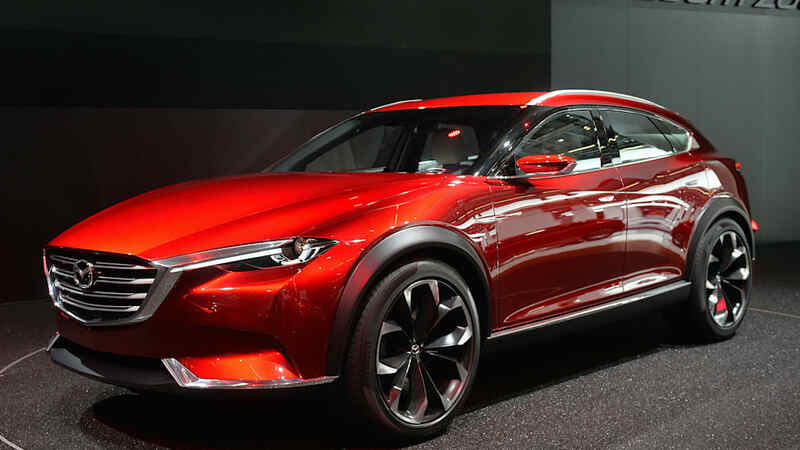 Featuring the full suite of Mazda's new-generation SKYACTIV technologies and designed under the KODO—Soul of Motion design language, the concept offers sporty yet delightfully refined styling and driving performance. 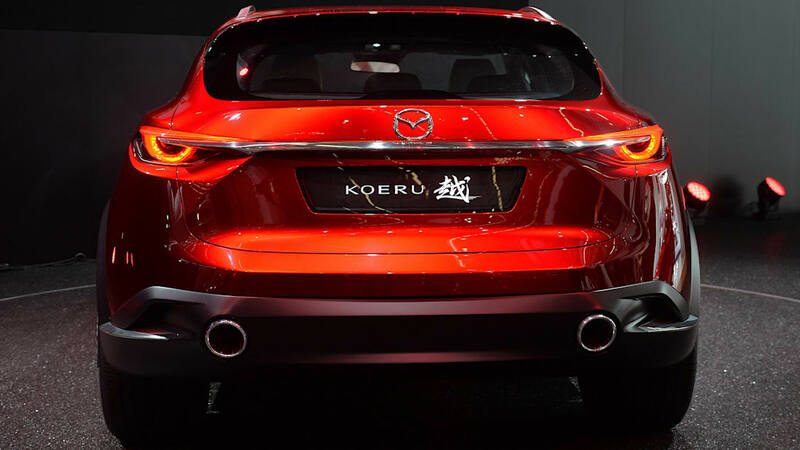 The name "KOERU", which literally means "exceed" or "go beyond" in Japanese, comes from Mazda's aspiration to deliver value that goes well beyond the existing category norms and standards. 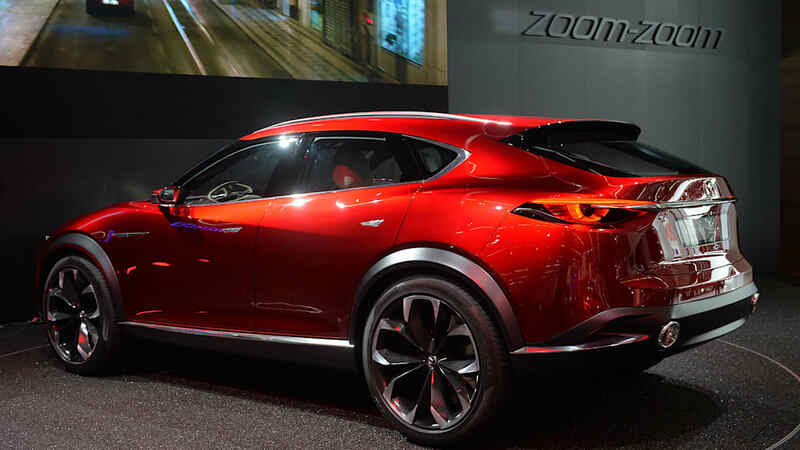 As the latest incarnation of Mazda's new-generation products, the Mazda KOERU crossover concept offers styling that exudes power, vitality and a new level of polished refinement. Targeted at customers with a cutting-edge mind-set, the Mazda KOERU is a bold challenge to the existing crossover market and embodies Mazda's on-going quest to deliver pure driving pleasure. 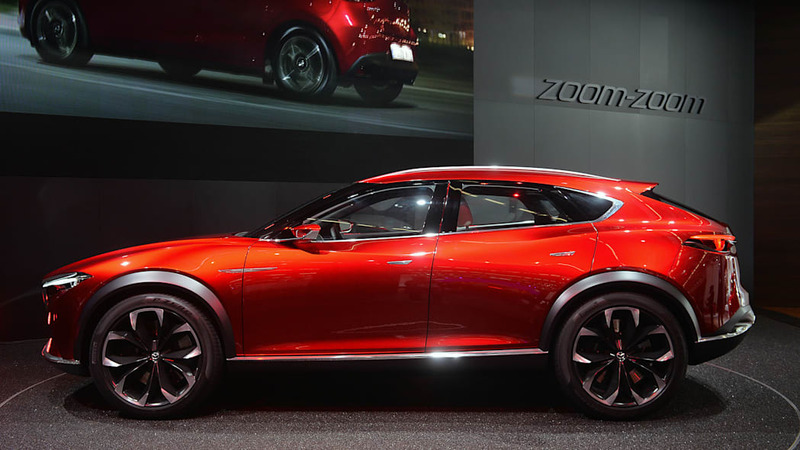 Evolution of KODO design through the expression of "vitality" and "dignity"
One look at the Mazda KOERU reveals the qualities of KODO design – the power and vitality of a wild animal. 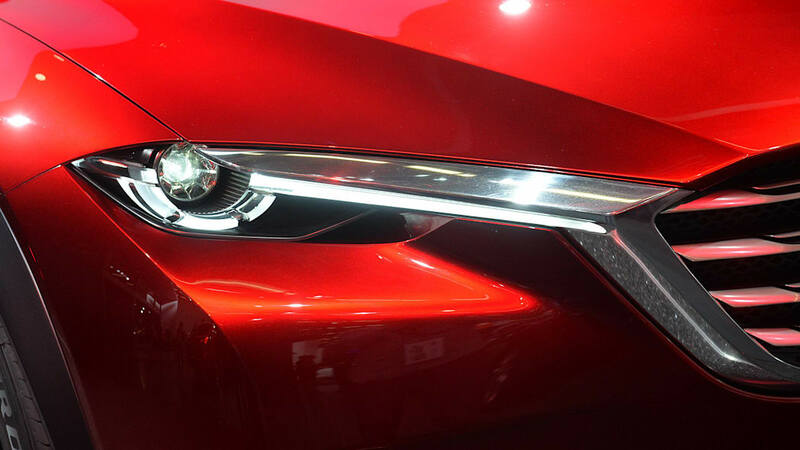 Focusing on the expression of refined dignity, Mazda has imparted the KOERU with awe-inspiring proportions and an intriguing form that hints of a Japanese aesthetic. The outcome is an evolution of the KODO design theme adapted to the crossover vehicle. Given a stronger presence than ever before, the Signature Wing is expressive of unwavering determination, whilst the LED guiding rings evoke the bright, strong-willed eyes of an untamed animal. A tight canopy and a modulating body generate a sense of speed and volume, creating a unique presence that sets the Mazda KOERU apart from existing crossover offerings. Highlights on the front and rear fenders extend towards the large wheels, suggesting powerful legs pounding the earth. 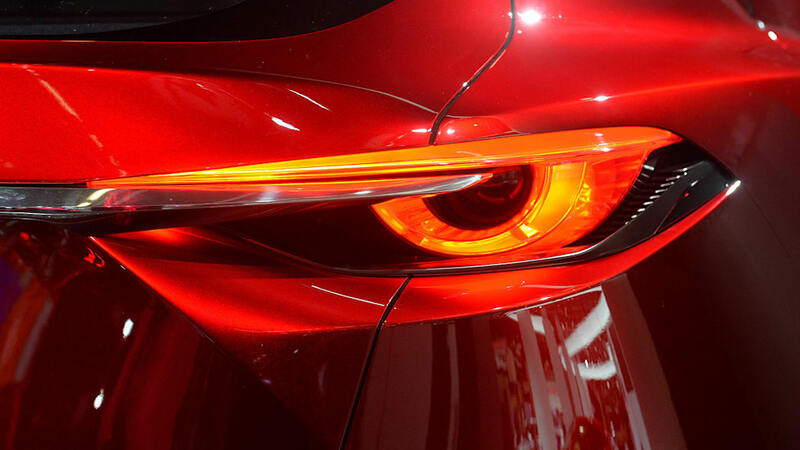 Throughout its history, Mazda has continually pursued responsive, exhilarating driving. Fully adopting the latest SKYACTIV technologies, the Mazda KOERU responds linearly to the driver's operations, providing a true Jinba-ittai driving experience. Impressive aerodynamic performance is achieved by a sleek body shape and optimisation of the airflow over the upper body, as well as creating a turbulence-rectifying under-floor structure. These elements also enhance vehicle stability when driving at speed. The Mazda KOERU is significantly quieter and more relaxing due to Mazda's breakthrough NVH technology that thoroughly quells noise and vibration path. Those technologies deliver high-quality, amazingly refined driving not offered by the existing crossover vehicles on the market today. *1 i-ACTIVSENSE is an umbrella term covering a series of advanced safety technologies, that have been developed in line with Mazda's safety philosophy, Mazda Proactive Safety which represents Mazda's thinking about safety, and focuses on understanding, respecting and trusting the human driver. Mazda aims to support the essential functions for safe driving, such as recognising potential hazards, exercising good judgment and operating the vehicle in an appropriate fashion. These technologies are designed to help to prevent or reduce the damage resulting from an accident despite changing driving conditions. *2 Mazda Connect is Mazda's new-generation car-connectivity system, developed in line with Mazda's unique human machine interface (HMI) concept called the Heads-Up Cockpit concept. The new-generation car connectivity system was designed to support safe driving and driver concentration while the driver handles increasing amounts of information and maintains an appropriate driving posture. Mazda Connect is the name used in Japan, the US and Mexico. The system is referred to as MZD Connect in other markets.